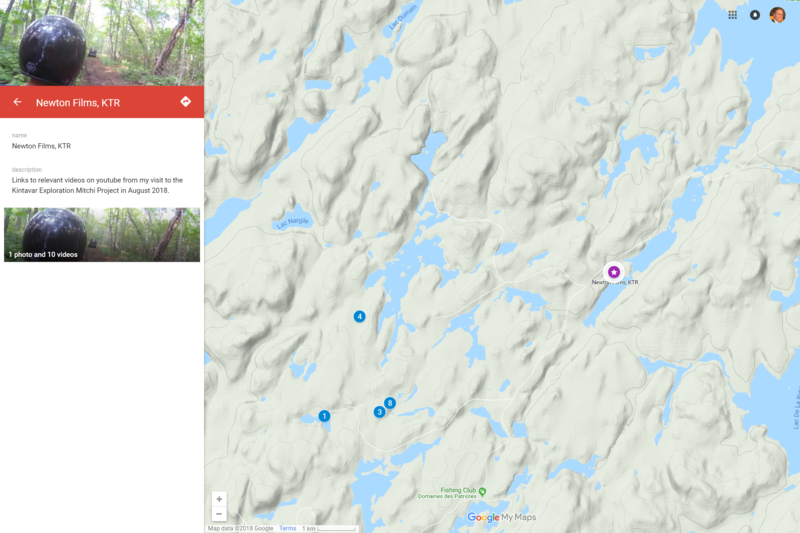 I've now released 10 YouTube videos embedded in a Google Map, showing where the videos match relevant locations on the project. One video even contains the view of the ATV drive from camp to the newest discovery, which is probably a bit much at 15-20 minutes. I understand if you don't want to sit through all that footage, but I included it to help give a sense for the reality of field work. Between all these videos, there's approximately 180 minutes of unique content. Some of it has some voice-over commentary in post production, like the one with me going through all the Kintavar Exploration (TSXV:KTR) news releases from the last year, but most of it is straight from the project site to you with minimal editing. I play a "Chatty Cameraman" to help keep you entertained and the people in front of the camera comfortable, but there's something more to it than that. The whole "Gonzo journalism" thing was meant to be "written without claims of objectivity, often including the reporter as part of the story via a first-person narrative". In the age of social media, I wonder if that is becoming the new gold standard in writing about the junior mining business? Thanks to Kintavar Exploration for hosting me on an inspiring site visit.